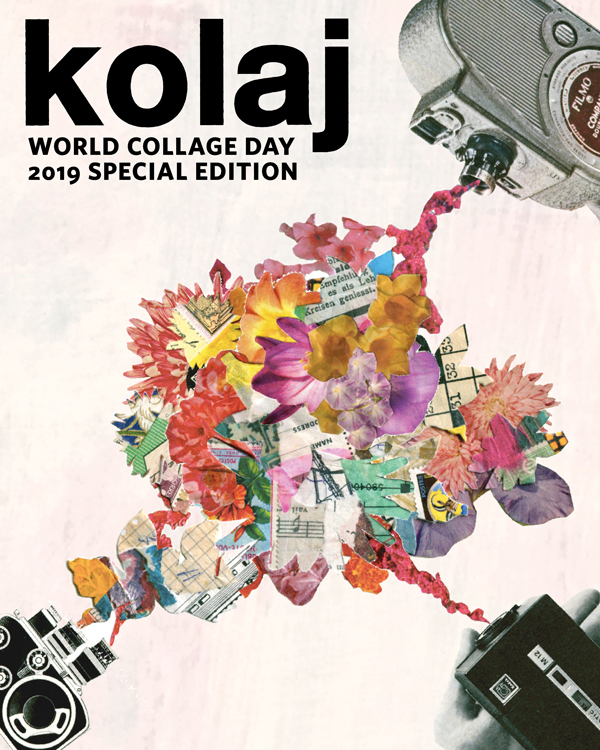 In honour of World Collage Day, May 11, 2019, Kolaj Magazine is releasing a special edition of the magazine. 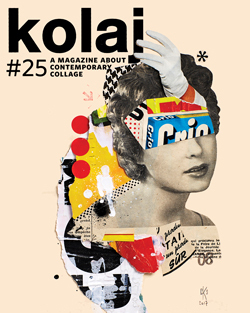 The Special Edition is full of stories about inspiring collage artists and advice for making, seeing, being collage. 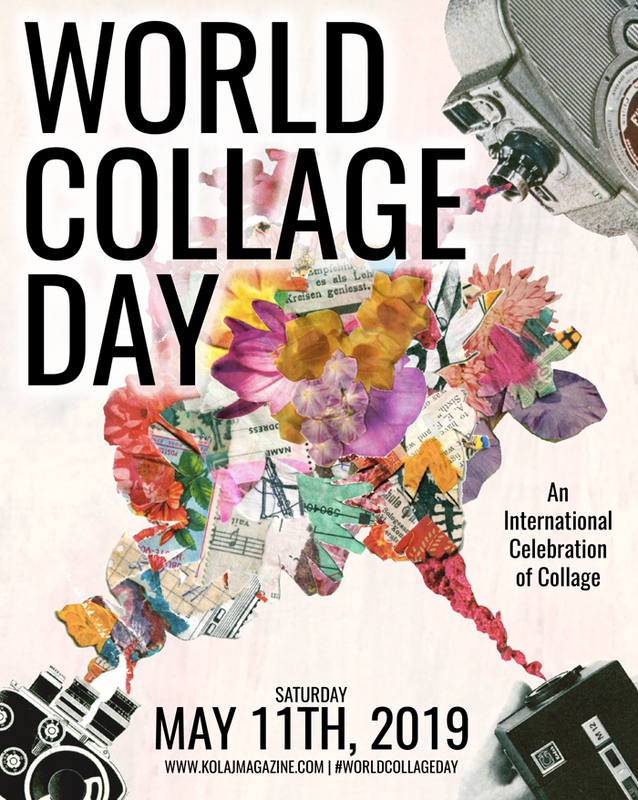 The World Collage Day 2019 Special Edition includes the special edition booklet, a World Collage Day 2019 poster and a pack of 8 postcards featuring the collage of Rosie Schinners. 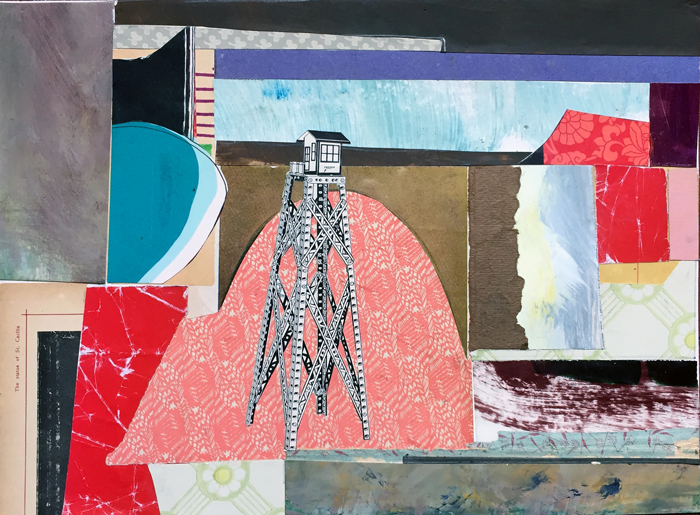 On World Collage Day, Kelly Schaub will be at the Estelle Stair Gallery in Rockport, Texas working with Lisa Baer Frederick and the community of Rockport to make a crowd-sourced collage. Schaub will also be having a solo show of her abstract musings in mixed media collage. Schaub’s story is much bigger than her artwork. Her story is about how one finds a community and champions a medium. Emma Anna embodies the “collage anywhere” ethos. She has shown her work in public galleries and private spaces, libraries, street footpaths and Chinese restaurants. When she fell in love with a Latin American painter/poet/dreamer, she left her native Australia to move to Colombia where the two lovers opened a creative space on the shore of the Colombian Caribbean. Her life was not supposed to be this way. “Collages fill up my apartment, but I can’t stop and I won’t. I feel the universal need to make art. I’m always thinking of the next collage,” writes Isabelle Milkoff who can rattle off the names of collage artists which as much passion as the description of what she loves about them. Milkoff is someone who lives collage. “Only one small inclusion, if done creatively, can reframe the way the viewer sees the image.” Jordan Wade makes smart, sometimes funny and sometimes serious digital collage that tells complex stories in playful ways. We asked him about becoming a collage artist, how he connects to a community, and what advice he has for up and coming collagists. A pile of flower petals obscures a woman’s face. Red thread tries to hold down the petals but ultimately fails. 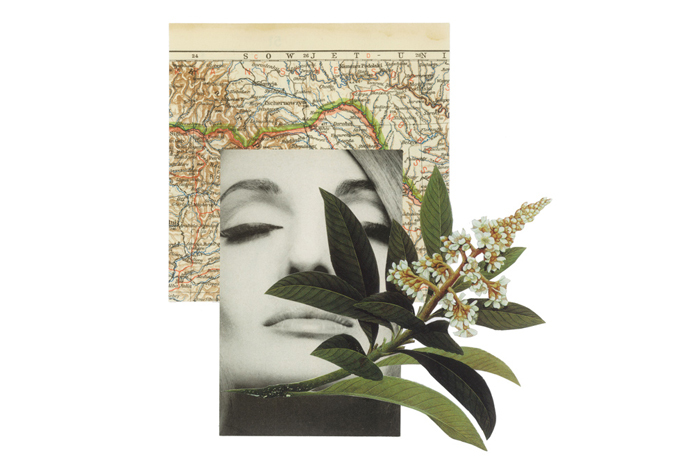 Simple gestures making powerful images is the hallmark of Ria Bauwens’ collage. But more than that, Bauwens is someone who deeply understands the power of material. In the Cut-Out Page she made for Kolaj Magazine, the selection of dried leaves she gives us is a reminder that one can make collage out of anything. 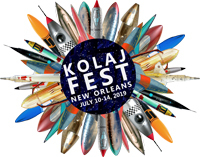 Also in the Special Edition: 2019 World Collage Day Poster Artist Rosie Schinners is on the cover and The Oceanic Feeling by Jordan Wade is on the back. Ric Kasini Kadour reflects on the state of the collage community offers some thoughts on what comes next. And we have a selection of how-to collage books.